This example demonstrates the impact of a highway close to Namur, Belgium. In this case the speedway is a line source of emission. 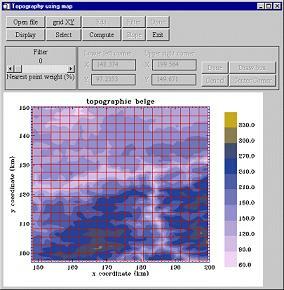 The topography is defined from the scanned road map using the drawn level lines or may be extracted from a database. 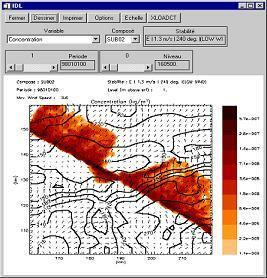 The Land use is defined from the scanned road map. A distinction is made between water surface, urban area, forest and grassland surfaces.